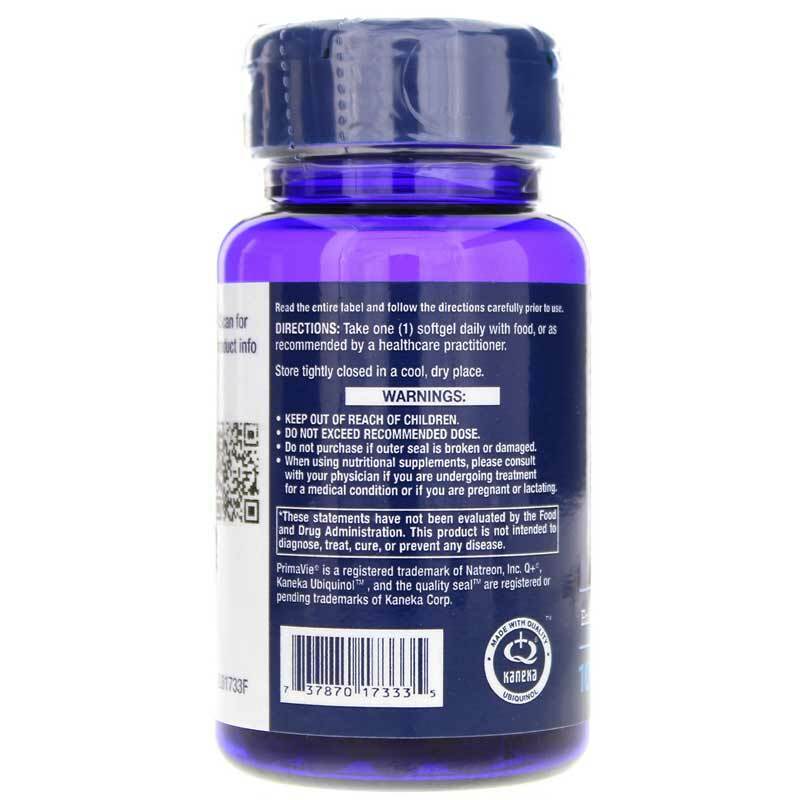 High absorbability is a necessary function of Super Ubiquninol CoQ10 with BioPQQ 100mg softgels. Created by Life Extension, this dietary supplement enhances support of mitochondria growth (or cell support in the body). 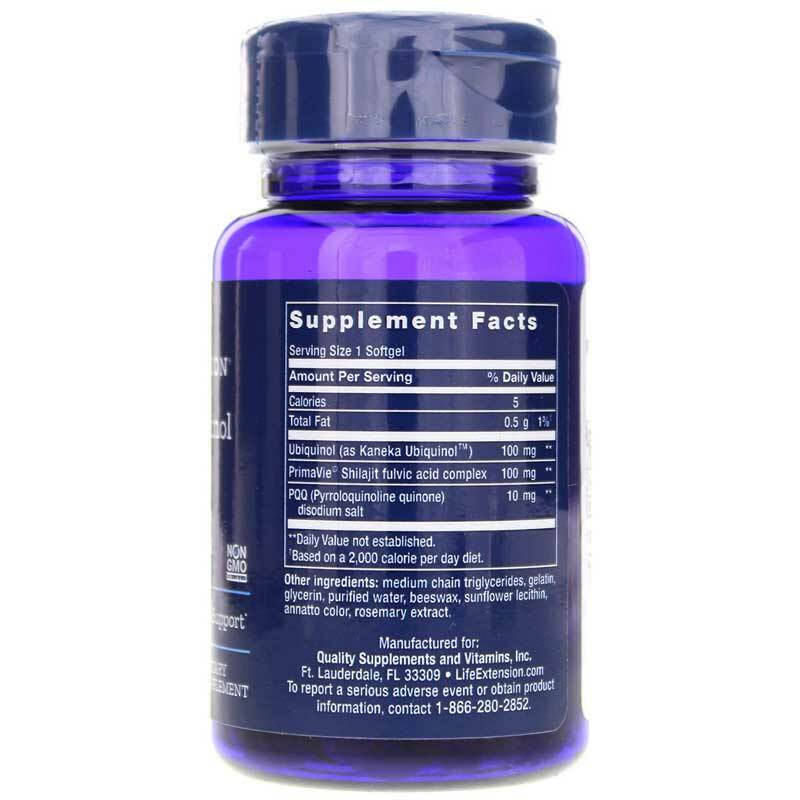 This formula generates a three-way strategy (or Shilajit) for enhanced mitochondrial support. What is CoQ10 and PQQ? CoQ10 provides unique nutritional support and energy to the heart and brain - which require vital nutrients to function. PQQ is an essential nutrient that the body cannot create on it's own. It works best in comibination with CoQ10. This component also provides rich levels of antioxidant to the mitochondria. CoQ10 is required to convert the energy from fats and sugars you eat into usable cellular energy. As we age, the production of CoQ10 begins to decline. By incorporating this supplement into your diet, it can support healthy levels of heart muscle - which is almost 30% more than typical statin drugs. 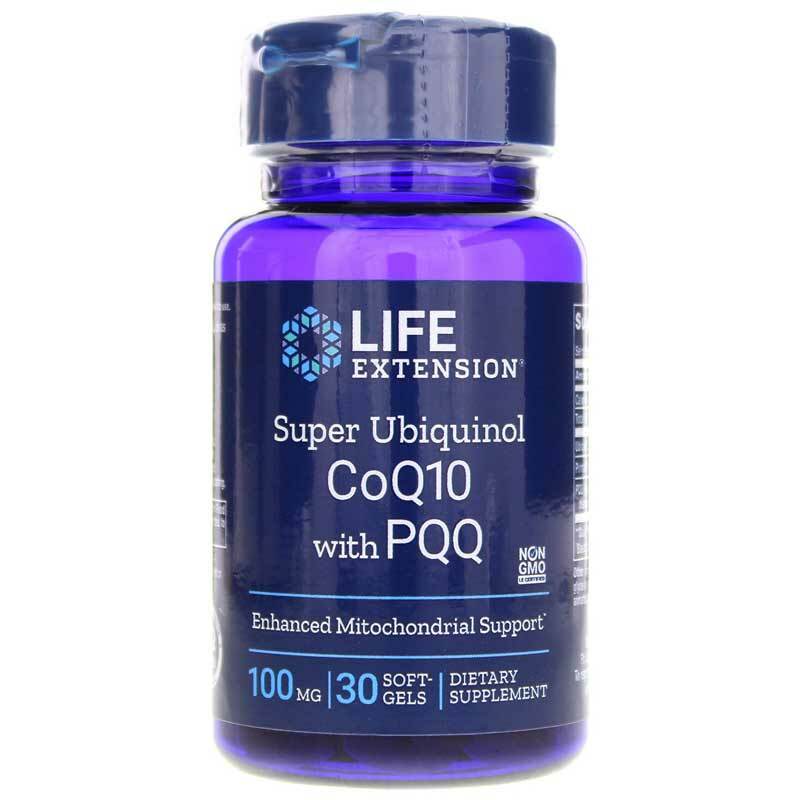 Life Extension offers this highly bioavailable ubiquinol form of patented CoQ10 in an advanced delivery system, providing an unparalleled absorption level. Shilajit boosts the beneficial effects of CoQ10s by stabilizing it's superior ubiquinol form in this supplement. It also facilitates more efficient delivery of CoQ10 into the mitochondria, which results in greater cellular energy production. Shilajit itself is rich in essential compounds that help the mitochondria convert fats and sugars into ATP (adenosine triphosphate), the main source of energy in the body. PQQ (pyrroloquinoline quinone) promotes spontaneous production of new mitochondria. It activates genes that promote the formation of fresh mitochondria. PQQ also interacts with genes directly involved in mitochondrial health - the same genes that support healthy body weight, normal fat and sugar metabolism and youthful cellular proliferation. This special formula of PQQ additionally supplies a powerful antioxidant with extraordinary molecular stability without breaking down the mitochondria. Life Extension has identified a purified, highly potent form of PQQ from Japan that is produced through a unique fermentation process. It provides the best assistance in the production of cellular growth and renewable energy in the body. Life Extension states this product is Non-GMO. Other Ingredients: medium chain triglycerides oil, gelatin, glycerin, purified water, beeswax, sunflower lecithin, annatto color, rosemary extract. Adults: Take one softgel daily with food, or as recommended by a healthcare practitioner. If you are pregnant, nursing, or undergoing treatment for a medical condition, please consult your healthcare professional before using this product. Keep out of the reach of children.